Doctor Cthulhu: The Necronomicon | Warped Factor - Words in the Key of Geek. Christopher Morley saves the big underpinning thread for last. 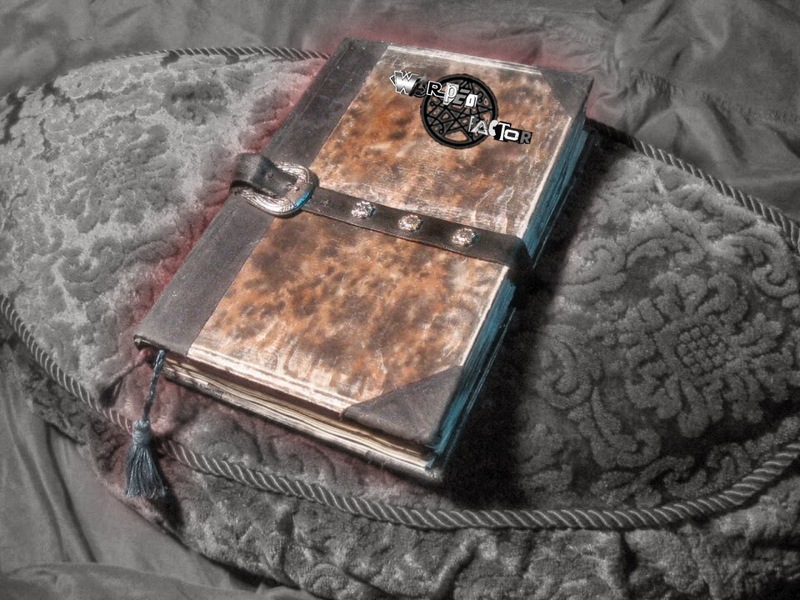 Let us round things off for the Doctor Cthulhu series by taking a look at the Necronomicon itself- the book of arcane knowledge also known as the Book Of Dead Names which underpins the whole of the Cthulhu Mythos. Its credited author, 'the Mad Arab'/Abdul Alzhazred, first appears in The Nameless City. Fitting then that the Doctor first encounters it in a story which shares the title during his Second incarnation! Little wonder then that after Jamie gifted it to him as a present ''With a shriek of pure terror, the Doctor flung the book away from him''. With good reason too! ''It stinks of old power and foul secrets'' according to the little recorder-loving chap it's a trap for. And who laid it? 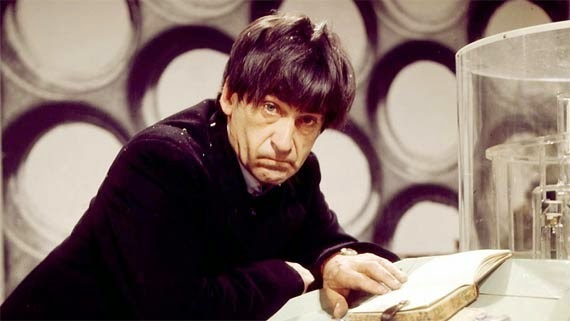 The very man who was '' always fascinated by this terrible book''. 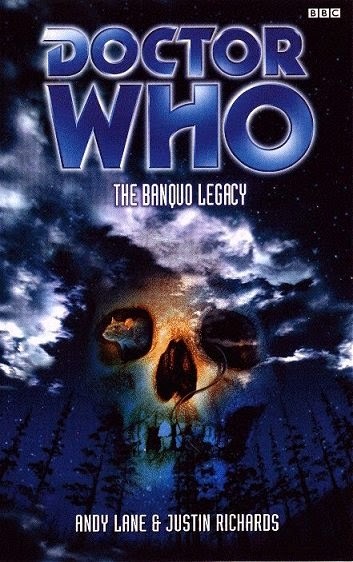 ...as well as Professor Richard Harries in the Eighth Doctor book The Banquo Legacy. The first mention of the Necronomicon itself by name in the works of HP Lovecraft occurs in a story entitled The Hound, published in 1922- just a year after The Nameless City, which had named its author as ''the Mad Arab''. "Alien it indeed was to all art and literature which sane and balanced readers know, but we recognized it as the thing hinted of in the forbidden Necronomicon of the mad Arab, Abdul Alhazred- the ghastly soul-symbol of the corpse-eating cult of inaccessible Leng, in Central Asia. All too well did we trace the sinister lineaments described by the old Arab daemonologist; lineaments, he wrote, drawn from some obscure supernatural manifestation of the souls of those who vexed and gnawed at the dead." "Now about the "terrible and forbidden books” — I am forced to say that most of them are purely imaginary. There never was any Abdul Alhazred or Necronomicon, for I invented these names myself. Robert Bloch devised the idea of Ludvig Prinn and his De Vermis Mysteriis, while the Book Of Eibon is an invention of Clark Ashton Smith's. Robert E Howard is responsible for Friedrich von Junzt and his Unaussprechlichen Kulten.. As for seriously-written books on dark, occult, and supernatural themes — in all truth they don’t amount to much. That is why it’s more fun to invent mythical works like the Necronomicon and Book of Eibon." 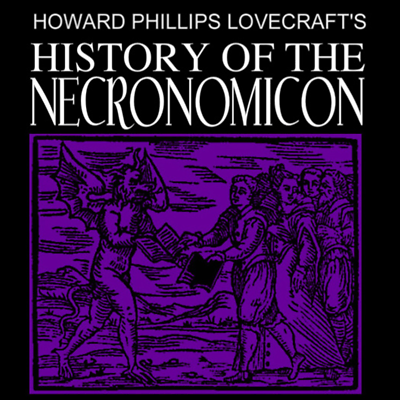 The author even went so far as to write a History Of The Necronomicon in 1927, though it was not published until 1938. "Original title Al Azif—azif being the word used by Arabs to designate that nocturnal sound (made by insects) suppos’d to be the howling of daemons. Composed by Abdul Alhazred, a mad poet of Sanaá, in Yemen, who is said to have flourished during the period of the Ommiade caliphs, circa 700 A.D. He visited the ruins of Babylon and the subterranean secrets of Memphis and spent ten years alone in the great southern desert of Arabia—the Roba el Khaliyeh or “Empty Space” of the ancients—and “Dahna” or “Crimson” desert of the modern Arabs, which is held to be inhabited by protective evil spirits and monsters of death. Of this desert many strange and unbelievable marvels are told by those who pretend to have penetrated it. In his last years Alhazred dwelt in Damascus, where the Necronomicon (Al Azif) was written, and of his final death or disappearance (738 A.D.) many terrible and conflicting things are told. He is said by Ebn Khallikan (12th cent. biographer) to have been seized by an invisible monster in broad daylight and devoured horribly before a large number of fright-frozen witnesses. Of his madness many things are told. 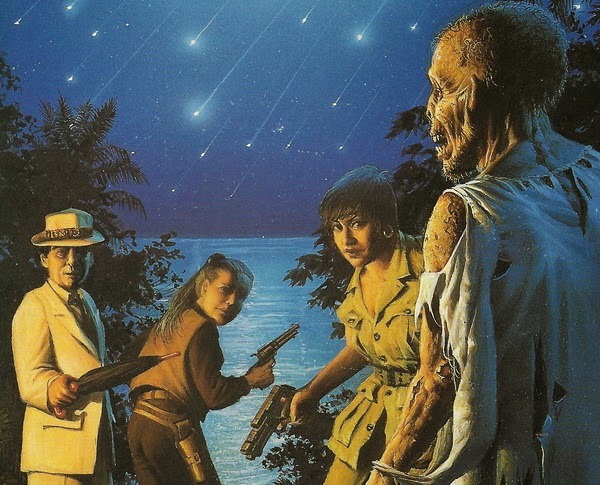 He claimed to have seen fabulous Irem, or City of Pillars, and to have found beneath the ruins of a certain nameless desert town the shocking annals and secrets of a race older than mankind. He was only an indifferent Moslem, worshipping unknown entities whom he called Yog-Sothoth and Cthulhu. In A.D. 950 the Azif, which had gained a considerable tho’ surreptitious circulation amongst the philosophers of the age, was secretly translated into Greek by Theodorus Philetas of Constantinople under the title Necronomicon. For a century it impelled certain experimenters to terrible attempts, when it was suppressed and burnt by the patriarch Michael. After this it is only heard of furtively, but (1228) Olaus Wormius made a Latin translation later in the Middle Ages, and the Latin text was printed twice—once in the fifteenth century in black-letter (evidently in Germany) and once in the seventeenth (prob. Spanish)—both editions being without identifying marks, and located as to time and place by internal typographical evidence only. The work both Latin and Greek was banned by Pope Gregory IX in 1232, shortly after its Latin translation, which called attention to it. The Arabic original was lost as early as Wormius’ time, as indicated by his prefatory note; and no sight of the Greek copy—which was printed in Italy between 1500 and 1550—has been reported since the burning of a certain Salem man’s library in 1692. An English translation made by Dr. Dee was never printed, and exists only in fragments recovered from the original manuscript. Of the Latin texts now existing one (15th cent.) is known to be in the British Museum under lock and key, while another (17th cent.) is in the Bibliothèque Nationale at Paris. A seventeenth-century edition is in the Widener Library at Harvard, and in the library of Miskatonic University at Arkham. Also in the library of the University of Buenos Aires. Numerous other copies probably exist in secret, and a fifteenth-century one is persistently rumoured to form part of the collection of a celebrated American millionaire. "That is not dead which can eternal lie, and with strange aeons even death may die!"